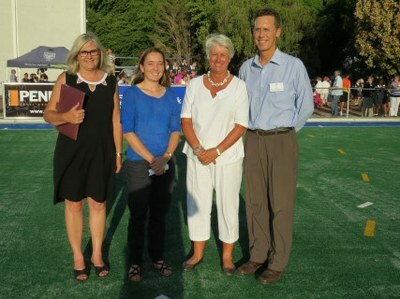 In January 2015 Rhenish Girls' High School opened their new astro - the Letitia Snyman Astro. The astro is named for a past Principal who was a keen hockey player and had initiated early plans towards this astro while she was still Principal. The Letitia Snyman Astro forms an integral part of the Astro Hub and "Sport Corridor" created in association with the Stellenbosch Sports Institute (SAS) and Bloemhof to attract hockey teams, sports men and women from all over the world. The astro has long been a dream for Rhenish and for all our hockey players. With this multi-purpose, all-weather surface, the astro can be used all year round. Hockey training can take place throughout the summer months and the girls can participate in the summer leagues in preparation for the hockey season. With the astro, all levels of hockey at Rhenish are developed, ensuring that Rhenish remains competitive in girls' school hockey. The addition of the astro is also part of the school's commitment to ensuring that we have top class facilities for use by our girls and by our community. Through the rental of our astro to our two adjacent primary schools and other schools in the Stellenbosch area, Rhenish Girls' High is also strengthening its ties with the community.